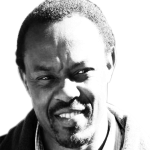 Cape Town, 10 October 2014—Tragically, the Ebola crisis in West Africa has reminded us of the vital role healthcare professionals play in controlling the spread of dangerous infections. Across the globe, doctors and nurses in under-resourced areas face enormous challenges, and put themselves at risk in helping others. Infection Prevention and Control is the work of three exceptional professionals who are equipping these professionals to do their work well and safely. Dr Angela Dramowski led the writing process, motivated by her team’s work at the Unit for Infection Prevention and Control at Stellenbosch University. She partnered with Professor David Woods, who leads the renowned Perinatal Education Programme (PEP), and Professor Shaheen Mehtar, a retired Infection Prevention and Control expert who remains actively involved with the Infection Control Africa Network (ICAN) and World Health Organisation (WHO) working groups. Together, they have written a self-study book that will help healthcare workers on the front line inexpensively and efficiently. Bettercare books provide self-powered continuing education for all healthcare workers without the costs of courses and workshops, with a strong focus on how to work effectively in difficult conditions. Infection Prevention and Control gives practical guidance and case studies in a range of important areas, including dealing with micro-organisms, risk management, waste management, outbreak investigation and more. 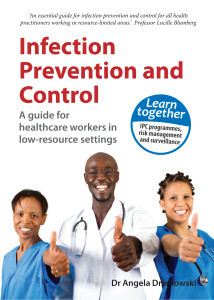 You can read Infection Prevention and Control online for free, and order copies, at https://bettercare.co.za/books/infection-prevention-and-control. Bettercare provides nurses with proven ways to learn together, give better care, and love what they do. Their decentralised learning model has been proven to help healthcare professionals by boosting knowledge and confidence and improving patient care. Their coursebooks are used by universities, public and private hospitals, and non-profits in South Africa and other developing countries in Africa, Asia and the Middle East. Visit www.bettercare.co.za. Other new and revised titles include Breast Care, Adult HIV, Maternal Care and Primary Maternal Care. The Perinatal Education Programme (PEP) has pioneered an acclaimed self-help training methodology for health professionals that places the responsibility for continuing education on the participants themselves. Visit www.pepcourse.co.za.